When you enter our lobby, you’ll notice a forest growing along the railing. This forest is also helping to grow Adventure! Children’s Museum! Museum donors have the option of requesting to be added to the forest, which will follow us to wherever we grow our museum. You or your loved ones can forever be a part of Adventure! ; the trees will come with the museum no matter where it is housed. Adventure! 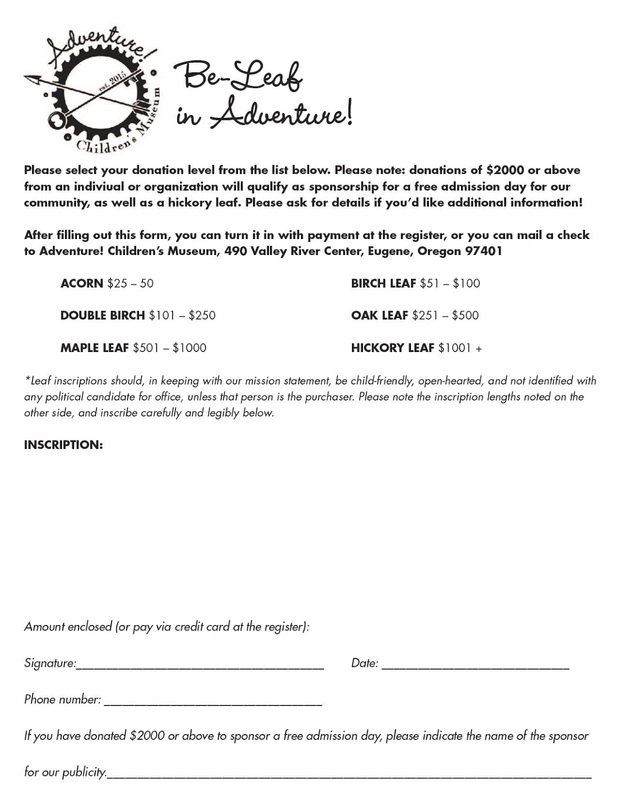 is pleased to offer the following leaves and acorns to donors to inscribe to the person or people of their choice! 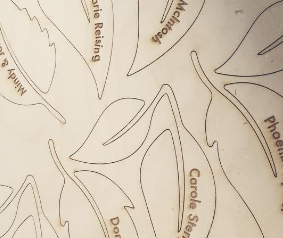 * These are laser cut and engraved here locally by Twin Ravens Press. Acorns grow into mighty trees, and we offer our little acorns (measuring 2 inches at the widest point) to be inscribed with up to two first + last names, or up to four first names. Perfect for dedicating to children! Birch leaves grow on sturdy, fast-growing trees that have also historically been used for making canoes, shoes, and furniture. Useful things, Birch trees! These are 5.25 inches at the widest point, and can hold one, two, or three full names, or several first names. These double Birch leaves are perfect for dedicating to siblings, twins, and newly-weds. They can fit up to four full names and are 5.25 inches at the widest point. Sturdy grows the mighty Oak! Sponsorship at this level invites the donor to have up to five full names inscribed on a leaf, or an inscription of comparable length. These are 6 inches at the widest point. Maple trees love northern climates, which help their sap turn to maple syrup. Forgive us if we get a little sappy, but we think you’re really sweet. 7 inches at the widest point. Up to six lines inscribed. If it gets too lengthy, we’ll contact you before inscribing. Hickory trees can grow to be old and wise forest dwellers. 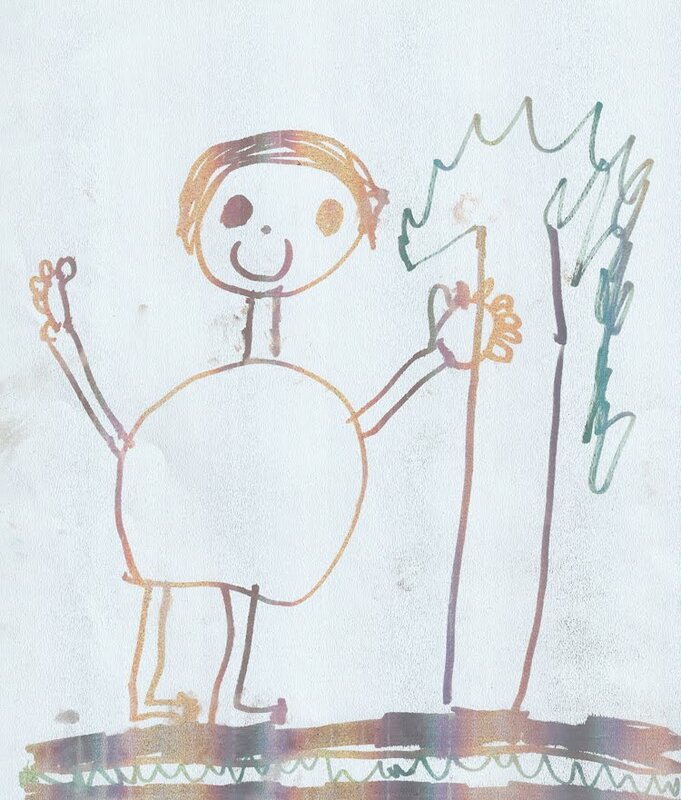 We hope to be old and wise someday too! Your donation in this amount will invite you to inscribe an 11-inch leaf. Let us know what you’d like to inscribe, and we’ll let you know if it will fit! *Leaf inscriptions should, in keeping with our mission statement, be child-friendly, open-hearted, and not identified with any political candidate for office, unless that person is the purchaser. 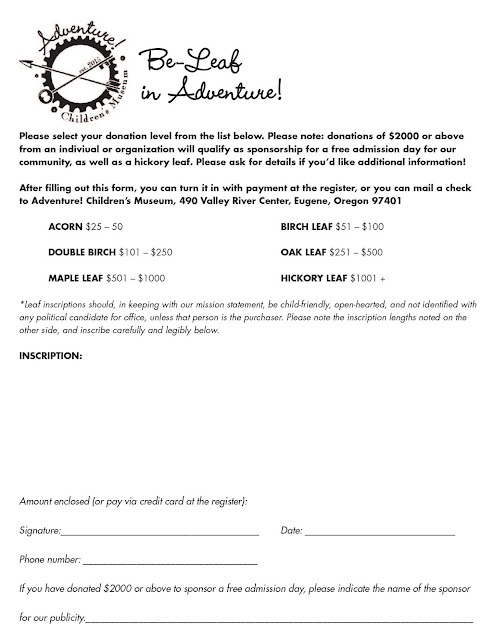 Please print and fill out the form below and deliver with payment to the museum, or call (541) 653-9629 to complete the form over the phone during regular business hours (10-6 weekdays, 11-6 weekends). You can also use this button to complete your request on-line.